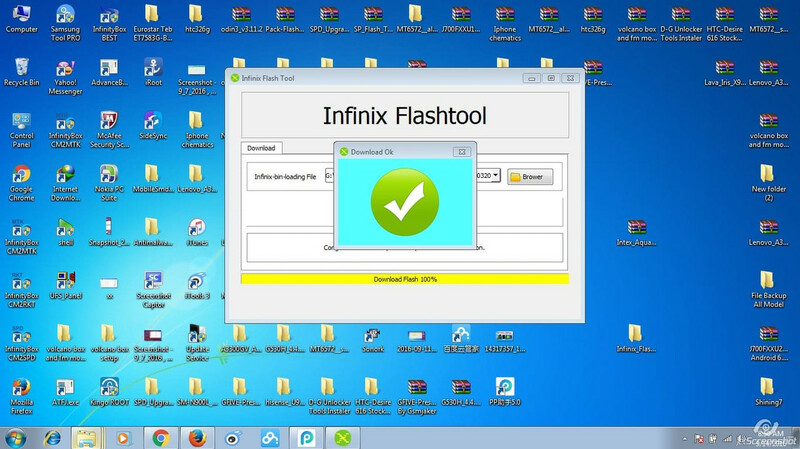 Infinix Flash Tool is a small application that allows you to flash stock firmware on any Mediatek Smartphone and Tablets. Here, on this page we have managed to share the latest version of Infinix Flash Tool along with the previous releases. It comes as a portable application, which means it doesnt need to be installed on the computer to use it. Simply extract the downloaded package and open flash_tool.exe to launch it. It comes with very easy interface and less buttons to get confused with. On the main panel there is only three buttons available i.e Browse, Start and Stop. Browse button allows you to add the Scatter file, Start Button allows you to begin the flashing process and using the Stop Button you can Stop the flashing process anytime. It allows you to flash stock firmware on any Mediatek Feature Phone, Smartphone and Tablets in a click only. Simply, load the scatter file using the browser button and click on start button to begin the flashing process. It supports Android CDC and Android VCOM drivers to flash the stock firmware on Mediatek Device. You need to install either CDC or VCOM Driver on your computer to get your device detected by the Infinix Flash Tool. Please DO NOT send me PM's for help, You can ask for help on forum ! ALWAYS use SEARCH button before posting !